Galco Exotic Shark Single Magazine Carrier FREE SHIPPING! 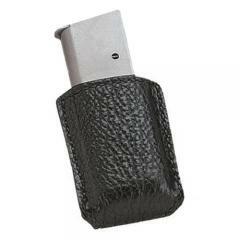 Galco's exotic single magazine carriers are made from only the finest skins and lined with premium horsehide. The exotics feature the same optimum design and construction as the premium saddle leather magazine carrier, while offering a unique and exquisite look. Fits 1.25" belts. ©2002-2019 CopsPlus.com: Galco Exotic Shark Single Magazine Carrier FREE SHIPPING!